Are we able to predict the next five years any better than we did the last five? What is very clear is that technology and how we apply it is not only changing what we consume, but what we create, how we discover it, value it, share it and is changing our very culture. It was once said that we were no longer listening to music but starting to make it, no longer reading but starting to write our own stories, no longer just watching TV and films but starting to make them. Today these statements are very real and the tools and technology to create media is available to all, along with the channels to promote and sell It, with or without the middlemen. YouTube has started to redefine how many now discover and watch music, Shazam on how we discover it and the likes of Spotify on how we access it on demand. We now live within a permanently ‘switched on’ environment, where we are accessible at all times and where we can access everything anywhere, anytime. We live with a mobile smartphone in our pockets which can now perform all our office functions, access everything, take pictures and videos, calculate the complex, locate where we are and what we are near, play music, videos, games and more in real time, interact via voice command, communicate with all and even still make and receive voice and now video calls. Although we now have the smartphone technology in our pockets and the high speed connectivity to make everything happen, what does this mean to how we live? Are we now all creators, journalists, photographers, director, reviewers as well as consumers? The days when we relied on curators and professional reviewers of taste are now giving way to the social recommendations of what are often physical strangers. More importantly, as we become increasingly ‘open all hours’, do we become more discerning, or do we adopt an increasingly low attention channel hopping lifestyle? Technology is becoming more intuitive. No longer are we wedded to a keyboard and a mouse, but at last we are now starting to become more dextrous and multi-taskers. With voice and even retina control commands becoming more common. The ‘sixth sense’ world envisaged by Pranav Mistry is now here, but is technology now enabling cultural change or responding to its demands? Some believe that stuff (the various media forms ) will merge and what was once a single format story, video, audio, song is going to become all these plus a game and all rolled into one experience. Some believe that each media form will remain separate, but alternative formats will be immediately accessible on demand. Does it matter whether a story is in text, film audio, or is it more about the time we have to discover, digest and value it? Does multimedia demand more or less concentration than an audio file or a film? Does technology now give us the time to read the book or does it present us with too many alternative distractions and restrict our reading? 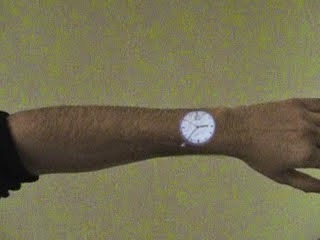 Many forget that the other aspect that is under constant threat is time. It is how we use our time and how technology helps us to achieve this that is probably the greatest cultural change. So what of the next five years? There will always be a need for quality time and that will demand quality solutions and stuff. What we have to think about is not the mix but the time. Media that was created to fit yesterday’s economic model, be it a cinema channel, space on a disc, or physical print press is still valid but now increasingly challenged by technology that is rebalancing those economics, channels and supply chains. We must start to create content that is not padded out or abridged to fit a form but is now built to fit time windows of lifestyle. All businesses large and small cry for a level playing field, a fair taxation system under which apples can compete with apples and where all contribute the community in which they earn their living. Unfortunately Utopia doesn’t exist and as trading communities spread, global trade increases and an individual consumer can buy direct from anywhere in the world with any business anywhere in the world the issue of tax just gets more complex. The new digital and technology traders from outside the EU discovered what could be best described as sink holes in corporation taxation and VAT across Europe. Not only were the rates all over the table but many governments were happy to induce companies to set up operations in their own countries with generous allowances and breaks. As new markets such as digital media grew many screamed foul, others tried to imitate and no one actually sorted much out. Jean-Claude Juncker, the European commission president is now facing increasing pressure as allegations mount which indicate that even he used questionable tactics when he was prime minister of Luxembourg to promote the country as the destination for multinational corporations such as Amazon. Bob Comfort, the former head of tax for Amazon, has claimed Juncker helped Amazon secured a confidential deal from the local tax office. A deal which is now the subject of a formal investigation by the European commission itself. Since 2003 Luxembourg has become the VAT haven for the likes of Amazon, Kobo, Nook and others all wanting to benefit from their 3% digital VAT rate. Companies could buy digital wares at a VAT inclusive price from higher rated counties such as the UK (20%), sell at 3% and effectively cream off 17%. This was possible due to the VAT being incurred at the point of distribution and registered office. European commission investigators claim that they believe the Amazon 2003 deal with Luxembourg is so generous as to amount to illegal state aid. Amazon EU Sarl, the company with which customers across much of EU do business when they buy online from the retailer, took €13.6bn (£10.7bn) in sales last year, up from €11.9bn in 2012. In January The EU is changing the rules such that VAT will be paid at the point of consumption of digital product. This means that the previous VAT benefit is levelled and this should benefit local retailers but many question whether this is the case and whether the EU has made it even harder for smaller traders to compete as they have to now deal with potentially not one but 28 different rates of tax. This also applies to those authors and publishers who sell direct and may be too small in terms of VAT sales to be registered. The VAT threshold below which many small businesses do not have to register for or pay/claim back VAT will be entirely removed for those dealing in digital goods selling into the EU. All companies will be responsible for paying VAT on every digital product they sell, even if they only sell one. Sell one ebook at 99p directly to someone in the EU, fail to report, and you risk of an unlimited fine. To avoid the need to register in up to 28 different EU member states, sellers can opt for the Mini One-Stop Shop (MOSS) alternative: registering in its home jurisdiction only, and submitting only one return and payment. The question as to whether the VAT change will result is higher ebook prices for many within the higher rated EU countries remains a strong reality. However those selling into businesses and education will remain unaffected. 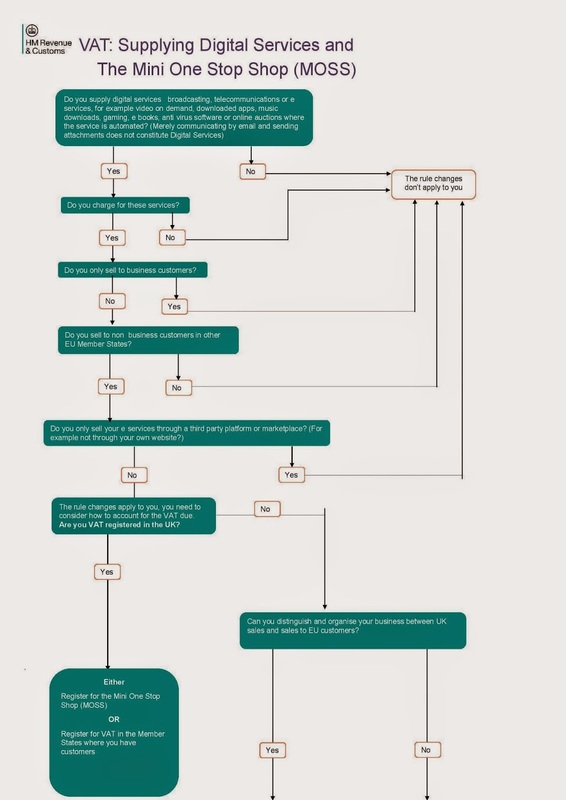 Where the goods supplied consist of physical product which is ‘bundled’ with a product that is accessed digitally, then the place of supply rule changes will only apply to the digital element of the supply if this is seen as a supply or the dominant part of the bundle. We still have no answer over the drop in France’s ebook VAT rate to 5%, which was deemed illegal by the EU but remains despite protest. France has now been joined by which has lowered the VAT on e-Books from the standard 22% to 4% so it matches the rate imposed on printed books. Malta has also cut its VAT on e-books from 18% to 5%, also so it is in line with print. The rates in France, Luxembourg, Italy and |Malta now are at significant variance to the likes of the UK , Denmark and others. VAT harmonisation across the EU even on one product seems very unlikely and so the muddle will continue. Corporation, or business tax, which is based on profits made within a trading community also remains in a mess with various different rates being applied in different countries across the EU. This prompts Apple to seek refuge in Ireland and others to channel funds through other countries or create high royalty payments to subsidiaries to offset tax. The UK has declared a “diverted profits tax”, or Google tax, which is aimed at targeting companies who shift profits out of the UK in artificial ways, with a punitive 25% tax rate from April next year. The question of how effective this will be remains as does the question of whether the EU will follow suit. What is clear is that many are demanding tax is paid where sales are made not in safe tax havens. But change is not just about the EU and the Japanese government is introducing a new Consumption tax on digital good sold to Japanese consumers. This will mean that any digital media sold by vendors whose headquarters are located outside Japan will be subject to the new tax. This will include companies such as Amazon.com and even Kobo Inc., who despite being owned by Japanese retailer Rakuten is registered in Canada. 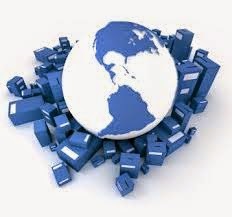 Are We Responding To The New Demands Of The Supply Chain? A Supply Chain is only as strong as its weakest link. The delays in internet deliveries has highlighted how the existing supply chain is not capable of responding to spikes in volume and demand. So what will be the future? Will we be any better at forecasting next year than we were this year? Will the lack of responsiveness actually choke back consumer demand to shop online? Will the cost of carriage rise sharply to mitigate the risks to carriage companies? The growth of internet transactions across all goods is heavily dependent on an effective and responsive transport infrastructure and this is often at best reliant on forecastable traffic. If a parcel arrives late, or a consumer has to chase a delivery, they don’t blame the carrier, the blame the seller. Over the last decade we have seen the huge growth in shorter delivery time slots. Once it was standard that we expected anything up to 28 days for our orders to reach us, now the standard is increasingly next day and at little cost. One of the companies that drove that hike is service expectations, Amazon, announced that it plans to give l hour delivery response to its customers in Manhattan. We can guarantee that this is just the start and there soon will be a big city offer across many cities. Will others respond – Yes. Have others built a complimentary offer such as Amazon’s Prime club – No. If we look at the wider market we already have a growing shift in the UK from out of town large supermarket sheds to more community local convenience stores. This is being also driven by budget supermarkets such as Lidl and Aldi who have started to redefine bargain and low cost. We now see an increase in supermarket internet ordering and home delivery of bulk volume and dry goods, the stuff you don’t want to carry. This is being complimented by an increase shift of fresh, lighter everyday goods being bought locally and often from the supermarket’s own local convenience store. This is the start of a real shift in consumer buying and consuming habits which itself will help some High Streets more than cutting business rates and other government initiatives. This is further coupled with the offer to click and collect your goods from a local store or point. The consumer is no longer thinking black and white, online or offline but starting to choose based on convenience and what suits their lifestyle. This in turn is increasing the risk of the supply chain having the wrong goods at the wrong place at the wrong time. Amazon is exposing the holes in yesterday’s supply chain not just upstream but as always downstream. When they talk about drone delivery and technology the one thing you can be sure of is that they are serious. What has this got to do with books, media and publishing? Well, just as some predicted a black and white answer saying that everything would go digital they have got it wrong and a hybrid market place is developing. Even music has seen the reemergence of vinyl. However, supply chains are finely balanced and must be cost effective from end to end and if not adjusted could seriously expose not just the validity of the channel but the goods themselves. Today we have a physical book downstream supply chain which was built not for tomorrow but the last century and there is too much duplication, waste and inefficiency. In the late 90s we had the UK Supply Chain review and perhaps we now need to revisit this again. Imagine an ATM system and internet services with no passwords that you have to remember and sweat over when you get wrong. Imagine a simple biometric device that authenticates who you are and lets you get straight to the service you require. This reality took another step forward last week with a group of some 150 companies releasing version 1.0 of its open specifications for authentication on the Internet securely without the use of usernames and passwords. The FIDO Alliance is impressive and includes the likes of Microsoft, PayPal, Google, Bank of America, Visa and MasterCard, Release of the specifications and the specification covers devices, servers and client software, browsers, browser plugins and native app subsystems. Although biometrics are being used today to authenticate access, these are proprietary. However the new FIDO specifications are cross platform and aim to be industry open standards. The question is how long will it take to be adopted and will it be surpassed by new technology before it hits the tipping point? Will the emergence of digital currency and bitcoins and the increasing strength in their security over traditional cash, also now accelerate, impact or compliment this emerging technology? Today we appear to be bogged down with controls and thinking that acts as if they were built not for the 21st but the 19th century. What is clear is that we will be securing what we do, access and how transact stuff and services very differently in the next decade. This could impact also how we can better control stuff which we often fail to do today. This technology could present better ways to control even copyright and usage rights. Perhaps one day we will be carrying our identifier in an embedded chip and our password in the retina of our eyes. In the UK we have just seen the impact of an air traffic technology blimp of less than 60 minutes on the control of international traffic airspace, flight schedules and travel over a great area. Distribution logistics is no different and can often appear very simple and straightforward when it flows correctly, but can become complex and spiral out of control when things go wrong. 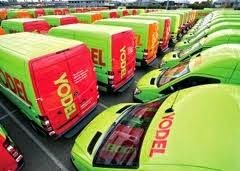 This week’s news that Yodel, one of the UK’s largest package carriers, had suspended supplier collections due to an unforeseen spike in traffic, is somewhat alarming and also begs the question on how the smooth this out before Christmas. Yodel’s official statement to clients, claims that Black Friday and Cyber Monday had exceeded all analysts' expectations and in many cases orders for UK retailers were double the previous record level set last year and that parcel volumes then had continued to be high. However, Amazon, which uses Yodel and is a shareholder in the business, said orders would continue to be processed and delivered in "the normal time frame". Catalogue retailer Argos said their deliveries to customers were unaffected, whilst Marks and Spencer was forced to extend delivery dates for online orders as a new distribution centre struggled to cope with heavy Christmas demand. Others would question why some carriers aren’t in the same position and whether the true facts are being presented? What is clear is that Yodel gave suppliers less than 24 hours’ notice that they were effectively suspending collections for the Thursday and Friday of last week and with Saturday and Sunday being collection free they were hoping to be back on an even keel at the start of this week. It is obvious from some statements by their larger customers that some retailers may be getting a fast track service and are being impact less by the spike. The challenge to any logistics spike is that it has to filter through the whole supply chain and the resulting ripples that queue up behind it, also have to run their own course. We can guarantee that the majority of suppliers put in an extra effort into maximising the Wednesday pick up quantity and so ensure that these were in the pipeline. We know of one supplier who doubled their outbound quantity that day and if this were repeated across just a fraction of Yodel base the next spike is not only predictable but inevitable. Do they expect that Monday will be a normal day or do they expect to be collecting three days’ worth of dispatch plus all weekend traffic? Will this then force another ripple in the chain? They will obviously will have an excess volume of stuff to deliver. They may engage extra third party delivery services to help with this spike, but will these maintain the required service quality, or be more concerned in getting stuff delivered at any price and condition? We then come to some other factors which some suggest actually caused the spike to be a problem. During November Yodel took major contract action to streamline their contracts, not only standardising rates, but forcing some to change their distribution profiles. This could not have helped the situation and maybe introduced a change timed at maximising their earnings. This standardisation of contracts may have also actually backfired, as some had to make system changes to realign their work and others parcel package profiles changed which in turn changed Yodel’s profile. Some also suggest that Yodel has maybe been too eager to pick up new business from others and not fully factored these into their forecasts. Finally we have a market space that is going under major change. We don’t mean the retail and online market but the carriage market that services it. Amazon’s impact in this market can’t be underestimated as they have used not one but many services, have learnt the business and now are designing many out as they start to take greater control of their own chain. The impact of next day, or same day delivery has had a major impact on everyone’s expectations and service infrastructure and the reason Amazon forced this issue, was not just to higher the customer expectations, but also to increase the pain and costs of its competitors, who have to respond to something outside of their control. We may laugh at the prospect of drone delivery but it will happen, but perhaps not quite as we expect it. Supply Chain Management is not just about the consumer but about streamlining the whole chain from start to finish and when we look at the booktrade we only see one player doing this. As for Yodel, it is reasonable to predict that there will be a further moratorium on collections before the end of the year and that some deliveries will not be on Santa’s sleigh in time. Nook: The Bride Stuck on the Shelf? It must be the season when dreamers and some journalists cast their thoughts to opening their presents, sitting around open fires, drinking egg nog, watching sentimental films and potentially losing sight of reality. Last week the long overdue divorce between Barnes & Noble and Microsoft was made absolute and the ill matched pair were finally put out of their misery. 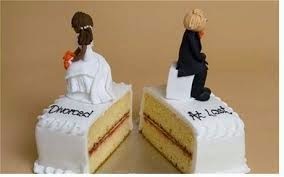 As we looked back over the couple’s short history, it is clear that the marriage was somewhat ill-conceived, and one more of convenience and hope than business logic. On one hand it was reliant on Barnes & Noble stretching itself past the Eastern seaboard and venturing where it had failed to tread before. Although they finally did this, it was too little, too late and done without real conviction and probably more down to the terms of the Microsoft deal than a burning desire to open up business outside the US. On the other hand Microsoft were pitched to be some sort of white knight to take on Amazon and deliver not just the much needed cash but the technology element of the proposition. Unfortunately the technology was not built on their Windows platform but on Android. There wasn’t cracks in the plan but chasms. So Nook have apparently found yet another suitor in Samsung. Is this third time lucky or just another blind date and on the rebound? They appear to be still quietly beavering away to offload its Nook platform and this time to the media wanttobe. Samsung may have smarter technology and be in a good position to help Barnes & Noble, but does Barnes & Noble offer Samsung anything they can’t or shouldn’t be able do by themselves? Many will point to Barnes & Noble’s huge understanding and knowledge of the trade, others will say that they once claimed to be able to take on Amazon, but that they lost this battle even in their own back yard. Some will say that Barnes & Noble physical business is on the mend and Nook is a brand and service which has much to offer. Nook may be more stable now than those recent times when executives appeared to be leaping off buildings faster than the best trained lemmings. Nook continues to haemorrhage and in its second quarter, ending November 1st, it's revenue fell 41% to $63.9 million, while digital content sales fell 21% to $45.2 million. This contrasted with Barnes & Noble’s retail sales, which fell marginally by 3.6% in the same quarter, which was partly down to store closures, but offset by the 1.9% rise in their college unit. When we visited the flagship Union Square bookstore a few months ago, we were somewhat taken aback by the real estate given over not to more books but to non book product. It would be very interesting to discover the product revenues and profit by category and one would suspect that books are doing worse than it may appear. We then read the Street’s article, ‘Wal-Mart Should Buy Barnes & Noble's Struggling NookDivision.’ No we didn’t miss the question mark off the end, they obviously thought that this was a serious proposition. The logic was that WalMart was building up its digital offer so Nook would offer them a quick and cheap leg up. They even believed that Nook had built up a serious and ‘robust’self-publishing digital business. We also found ourselves in somewhat weird discussions with others who also proposed Barnes & Noble should go further and even consider subletting space within Walmart stores. The reality often hits home after the Christmas. The merry festive season is replaced with the cold and often dark reality of January. Even the sales can’t often lift that morning after the party feeling. Perhaps it’s time the accountants allowed the Nook to be put out of its misery. Nook has been to the alter more times than many and unfortunately time, even this short time, has not made it any more attractive and the dowry has dropped significantly. 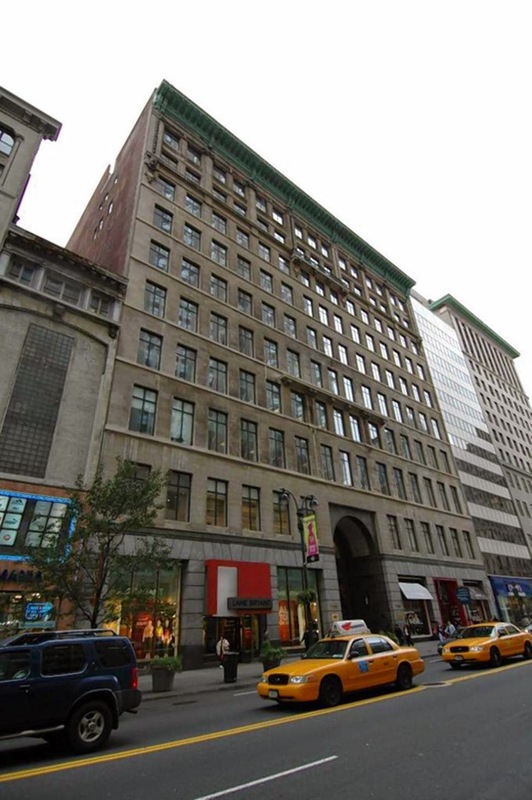 It had been predicted that when Amazon acquired a 17 year lease at 7 West 34th Street opposite the Empire State Building and that it was going to finally come over to the other side and open up a retail store. It was also mooted that it could be a 'call and collect' base for Manhattan customers, offering them same day collection of purchases. We have seen Amazon open up collection points within stores and with partners such as The Post Office in the UK, but to date they have not opened a dedicated one in their own name on the High Street. Frankly, why would they when they have plenty of others queuing up to service their needs. Well Black Friday has come and gone followed by Black Monday and although the festive season is in full swing there is little sign of an Amazon retail operation in Manhattan. It is now widely reported that the 470,000-square-foot building has been designated as “primarily” corporate office space, and the ground floor retail shops will be subleased. With the likes of Amazon it is fair to say that nothing is set in concrete and things will change, but for now the only thing Amazon apparently want on this High Street is an office and more free advertising. Apple’s Dominance of the digital music market has declined as the market shifts to streaming on demand. As Apple attempts to win back lost ground with its recently acquired Beats music streaming services and embed the enabling app in its latest update to the iOS operating system used on iPhones and iPads, it once again faces many questions in court over its previous iTunes software practices within the digital music market. The current Californian case, brought by Melanie Wilson and Marianna Rosen, is seeking $350 million and under its class action status, it is estimated that the lawsuit could award damages to as many as 8 million people who purchased an iPod between September 12, 2006, and March 31, 2009. The case has evolved significantly since the original 2005 filing and now alleges Apple made a series of software updates to iTunes which were specifically designed to shut out competing music stores' ability to load their songs onto iPods. The case centres around Apple’s use of its Fair Play DRM (Digital Rights Management) software and claims that by restricting ITunes tracks to iPods and others’ tracks from iPods, Apple forced buyers to use iPods instead of rival devices between 2006 and 2009. It is claimed that this in turn artificially inflated the price of iPods and resulted in harming consumers in the process. Now a video of and emails by the late Steve Jobs are even being used in court as evidence against Apple. Bonny Sweeney, the lead plaintiffs' lawyer stated that, "Apple made those changes to its software after top executives at Apple learned that competitors had figured out a way to have their songs played on the iPod." 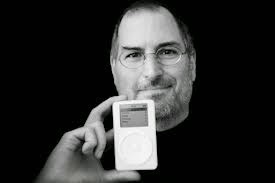 He also claims that the updates, "did not make the iPod faster, improve sound quality, did not make the iPod sleeker or smaller or cooler," but "prevented customers who had legally purchased songs from Apple's competitors from playing those songs on their iPod." Apple counter stating that iPod prices were not set with reference to its rivals and that in 2006, rivals such as RealPlayer had less than 3% of the online music market and had little influence on their pricing. Apple's iTunes store sold DRM encoded music track which not only prevented unauthorised copying but also could not be played on competing devices such as Microsoft's Zune and that songs from rival online stores could not be played on Apple’s iPods. The code that would go so far as to force users to reset their iPods if they were loaded with unauthorized MP3 files, wiping the devices clean. The code was removed from iTunes in 2009 and now music and other licensed media purchased from other companies can now be played on Apple devices. It’s interesting to note that there are many who would suggest that the DRM ‘walled gardens’ within the ebook market have many similarities and in some cases also support hardware offers and although they are subtly different defining what is right and wrong may be hard. In March 2008 we interviewed Kate Pullinger, who was then creating stories that were innovative and which exploited multimedia and technology. She had embarked on a digital fiction project, ‘Inanimate Alice.’ and after a break of six years has just published a new episode. The project hasn’t stood still, has been taken up by many children around the world and has been translated into Spanish, French, Italian, German, Indonesian, and Japanese. It also remains a multimedia story which is free for all to experience. We obviously had to remind ourselves of the early episodes before we looked at the new one. We will all have our own views on the presentation, uses of multimedia and story itself. What is interesting is that what appeared just a few years ago as ground breaking and exciting, now appears to lack that same excitement and sparkle it once had. It is often said that a year is often a long time in technology and simply bombarding every sense and incorporating every technology trick isn't perhaps enough today. What once appeared as a ‘chevron clicker’ (a digital page turner) of a story and a fresh multi media experience is now looks somewhat lost. There are still frames when the story and the graphics come together but there are others when you feel it could have been more subtle and better. We have huge respect for Kate's previous ground breaking work on ‘Inanimate Alice’ but perhaps, it also shows that sometimes you have to know when to put things to bed and move on and that a six year break is a huge chasm to transverse in today’s technology. How many times do you stand inches away from an original Guttenberg Bible? Yesterday we were privileged to in a very small party of Royal Warrant Holders at Eton College. After an uplifting service in the Chapel, visiting the oldest classroom in the UK with names of former pupils carved into ever pew and over every wall, visiting the old school kitchens and the refectory we went to the college library. The library itself wasn’t huge, some two generous rooms with a mezzanine floor but with walls shelved from top to bottom with rare books. The librarian, Michael Meredith led us straight to the original Guttenberg Bible, a volume of which was sitting open and proud on its stand waiting for us. The first thing that struck you was that it wasn’t behind glass, nor was Michael wearing white gloves when he handled it. 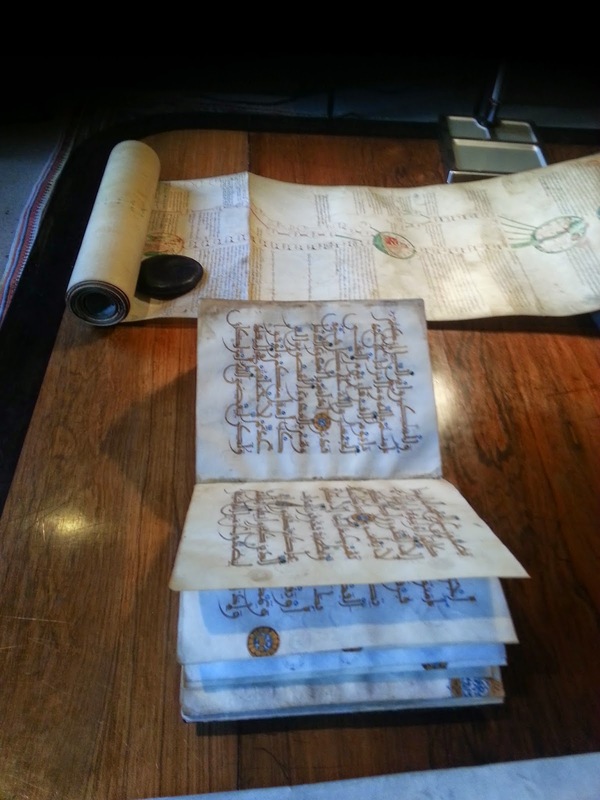 It had been brought out especially for us and was in as near perfect condition any 600 year book can be. Michael told us the story of how it had been donated to the college and that it is one of only a few complete works remaining. The neat two columns of text on each page vary in the numbers of lines between 40 and 42 and make it one of the first to come off the press or presses. Looking at the pages you were struck by the quality and clarity of the print on this the paper rendition showed no damage or foxing. Each page had been rubicated by hand, but this was minimal and compared to the illuminated manuscripts of the time, must have been viewed as very plain. You immediately thought that this had the look of the first mass produced book. On one page rubication error had been made and instead of neatly covering the rubication, or erasing it, they had simply colour blocked it out with their red ink. Did this reflect what they thought of the book’s value at the time? Micheal then showed us some other books from their collection that he thought we would be interested in. There was a Qu'ran which dated back to the times of Saladin’s in Spain and was scripted in gold! Michael told us of a group of school children who visited the library and of a young thirteen year old girl, who read the Arabic out loud and then translated them to English. We wondered how many could read and translate the western works and Latin of that time? There was the banned work of Copernicus, in which he stated that the planets revolved around the sun, an exquisite Dutch illuminated Book of Hours, the first book on the Art of Anatomy with skeletons and muscles, Microscopia with a gate fold of a flea depicted from the first microscope in the 1600s. The library boasts some 400 books from before Guttenberg and among its many scrolls was one depicting the history of the world from God Adam and Eve to 1600s and another signed by Elizabeth I, which listed all her Christmas gifts. There was a triple column timeline illustrated volume with first known book illustration of the head splitting of Thomas Becket and depiction of St Francis of Assissi. 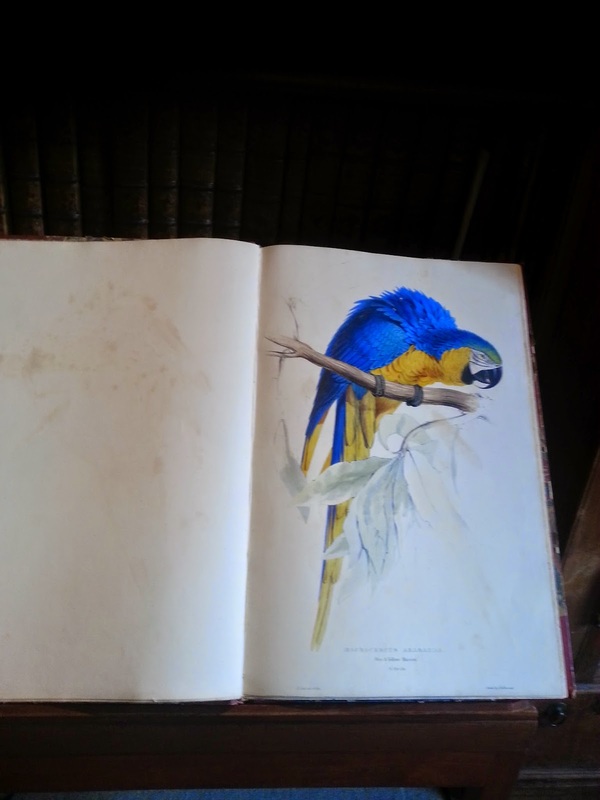 Sitting proud in full colour was an Edward Lear’s ‘Parrots’ which thankfully had not been broken up like many of its contemporises. We were shown the first edition of the Complete Works of Shakespeare sitting next to two original first folios from the Globe. Michael noted that there were often variations between the two, as the complete works was taken from his original manuscripts and the folios often contained amendments made by the prompters at the theatre. Which one is now right? Finally, Michael introduced us to the college’s new ‘Record of Remembrance’ exhibition of the First World War with its MacNaghten War Memorial Library, which was donated to the college and just as we were leaving we noticed sitting on the wall was a painting and ornate frame which looked somewhat out of place, it was a Rossetti! Some may say that Eton is for the privileged and we certainly felt privileged on the day.